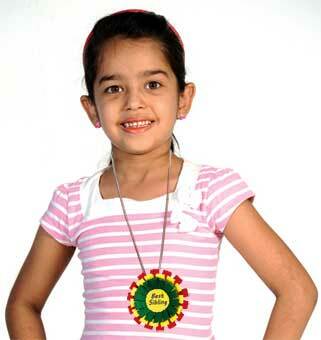 Make a badge for Independence Day, arakhi for your brother and a necklace for your sister in one go! Coloured papers, mount board, chain, satin ribbon, black pen, glue, hard bond glue, scissors and pencil. 1. 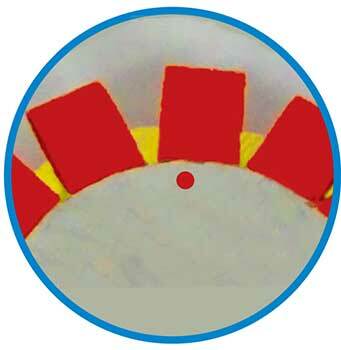 Cut out a circle from the mountboard. 2. Cut 1cm wide and 12cm long strips of orange paper. Fold them in half and stick the ends. 3. 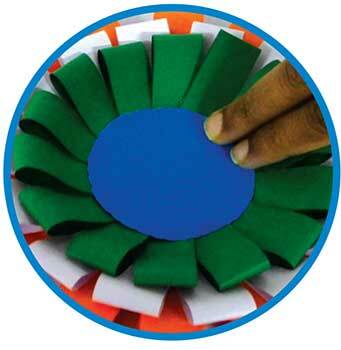 Stick the folded strips around the circular cutout. 4. 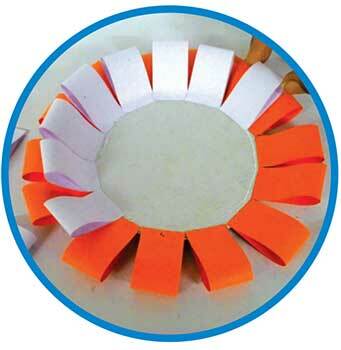 Make similar but smaller strips from white colour paper and stick them over the orange strips. 5. 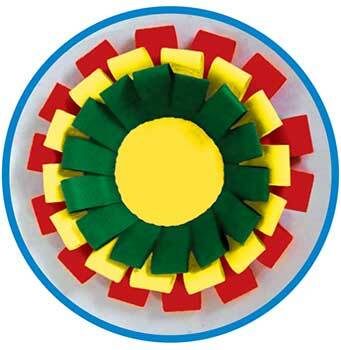 Similarly, stick green strips over the white ones. Leave some space in the middle. 6. 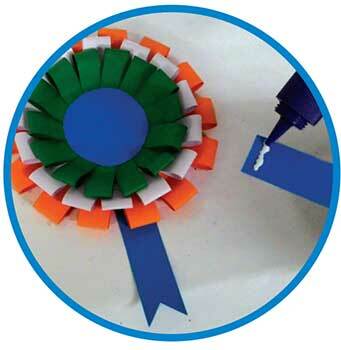 Cut out a circle of blue colour paper and stick it in the centre. 8. 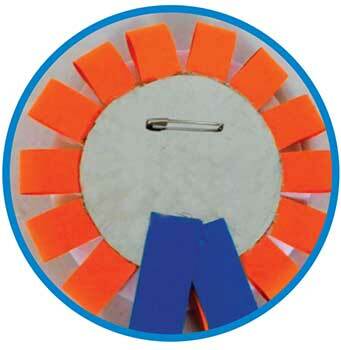 Glue a safety pin behind the badge using hard bond glue. 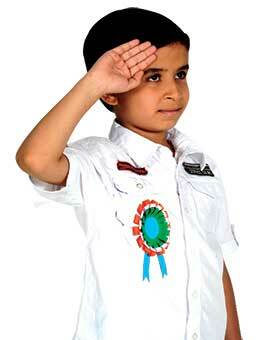 You Independence Day badge is ready! 1. 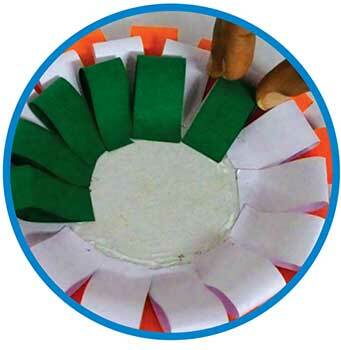 Follow steps 1-6 using different colour papers, and write a message in the centre. 2. 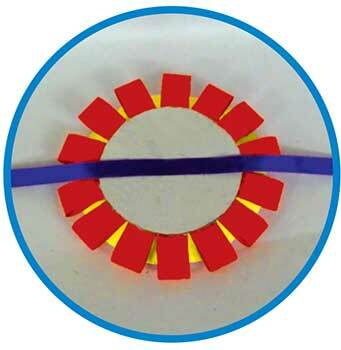 Glue a lengthy piece of ribbon to the back of the badge. 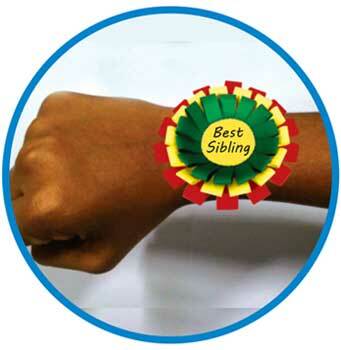 The ribbon should be long enough to be tied around your sibling’s writs. 1. 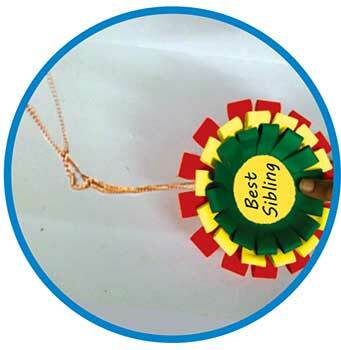 In the rakhi, instead of gluing the ribbon to it make a hole at the top. 2. Insert the chain through the hole.